titanium post, which acts as a replicate for the tooth root, this is securely fitted to the jaw bone. A crown or bridge is then attached to the titanium root , which acts as a substitute tooth for the patient. Your cosmetic dentist should explain the process to you fully and discuss the treatment process and plan. Any patient who has lost a part of a whole of a tooth, has broken, weak or loose teeth would significantly benefit from dental implant treatment. If a person has suffered from oral trauma, would benefit from dental implant treatment to improve their bite. If you are concerned about losing a loose tooth, or you have damaged and missing teeth, cosmetic dentist will be able to identify the best treatment for you. Broken , cracked or missing teeth can acutely affect oral health and overall self confidence, this is because broken teeth are more susceptible to become irritated with inflammation and cause painful tooth decay. Missing teeth affects a persons bite badly, and can cause detrimental grinding down of a their teeth. condition may prevent an implant from being safely secured and fitted for a patient. A cosmetic implant dentist will examine your mouth before your treatment , to see whether your are a appropriate candidate for dental implant treatment. There are major benefits of having dental implants, they give a strong full set of natural looking , white and bright teeth. 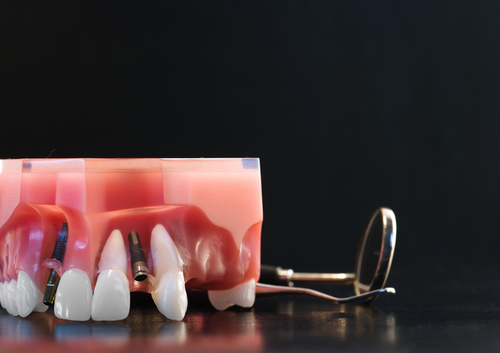 They are more secure than dentures for a patient, so a patient will have better oral wellbeing. Dental implants can give a patient more confidence to smile, knowing it is more attractive. Many people are nervous of undergoing dental treatment, as they perceive it will be very painful. An experienced cosmetic dentist should be able to reassure you, they will give patients local anaesthetic , so that a patient will not feel any pain during or after the implant procedure. As the anaesthetic wears off, a patient may feel some tenderness, and as the implants are healing there may be some swelling which can be combated with painkillers. The implant dentist will be able to discuss how to reduce and treat pain or discomfort. An experienced cosmetic dentist should fully discuss the treatment plan and the process with a patient, so they will be fully aware of the operation timescales. Cosmetic dental implant treatment can be very expensive as the cost is per implant for patients, increasingly many patients choose to travel abroad for treatment. Goma dental and implant clinic has a high treatment success rate , run by experienced cosmetic dentists, they specialise in dental implant treatment. Patients can have a consultation in our dental clinic in the Uk , with an practised cosmetic dentist, who will discuss their treatment options in detail. The patient will have the same point of contact in India , as well as the UK and throughout their treatment. Head and neck cancer can have a significant impact on a patient’s appearance after traditional open surgery, not only due to scarring but by altering the ability to eat and speak.However, surgeons at the Siteman Cancer Center at Barnes-Jewish Hospital and Washington University School of Medicine are using a different approach that avoids cutting a patient’s face and neck, instead using a face’s existing openings. Called transoral laser microsurgery (TLM), it’s a minimally invasive technique that Bruce Haughey, MD, director of head and neck cancer surgery at Siteman, has perfected over the last decade and is now teaching surgeons around the country. It’s estimated there are about 29,000 new cases of head and neck cancer diagnosed annually in the United States. The treatment of head and neck cancers has a dual focus: eliminating the cancers that affect the mouth, throat, voice box, upper swallowing passage or skull base and providing the latest reconstructive procedures to restore patients’ appearance and ability to communicate and swallow. “Traditionally, these areas have been approached by very wide operations where large incisions are made on the face and neck,” says Dr. Haughey. “Because this is cancer surgery, these are large operations with safety margins to make sure that cancer is removed.”Dr. Haughey says the unfortunate side effects of that procedure can be functional losses, scarring and prolonged recoveries that really can set patients back with communication, eating and swallowing difficulties. With TLM however, surgeons work through the mouth to find structures in the throat using an operating microscope and laser to surgically eradicate the cancer. TLM is primarily for those with hard to reach tumors. For patients with large tumors the procedure is usually only available at large volume centers like Siteman. Dr. Haughey had performed over 400 TLM procedures. Sleep apnea is a common disorder in which you have one or more pauses in breathing or shallow breaths while you sleep.Breathing pauses can last from a few seconds to minutes. They often occur 5 to 30 times or more an hour. Typically, normal breathing then starts again, sometimes with a loud snort or choking sound.Sleep apnea usually is a chronic (ongoing) condition that disrupts your sleep 3 or more nights each week. You often move out of deep sleep and into light sleep when your breathing pauses or becomes shallow.This results in poor sleep quality that makes you tired during the day. Sleep apnea is one of the leading causes of excessive daytime sleepiness. The most common type of sleep apnea is obstructive sleep apnea. This most often means that the airway has collapsed or is blocked during sleep. The blockage may cause shallow breathing or breathing pauses.When you try to breathe, any air that squeezes past the blockage can cause loud snoring. Obstructive sleep apnea happens more often in people who are overweight, but it can affect anyone. * Avoid alcohol and medicines that make you sleepy. They make it harder for your throat to stay open while you sleep. * Lose weight if you’re overweight or obese. Even a little weight loss can improve your symptoms. * Sleep on your side instead of your back to help keep your throat open. You can sleep with special pillows or shirts that prevent you from sleeping on your back. * Keep your nasal passages open at night with nose sprays or allergy medicines, if needed. Talk to your doctor about whether these treatments might help you. Sleep apnea often goes undiagnosed. Doctors usually can’t detect the condition during routine office visits. Also, there are no blood tests for the condition. Most people who have sleep apnea don’t know they have it because it only occurs during sleep.Lifestyle changes, mouthpieces, surgery, and/or breathing devices can successfully treat sleep apnea in many people. Treatment can improve your overall health and happiness as well as your quality of sleep.Consult your doctor today for more information. One of the most exciting advancements in cosmetic dentistry in the past decade has been the introduction of dental implants. Dental implants are an excellent aesthetic option for the replacement of missing or lost teeth. This mode of treatment is indeed more expensive than a conventional denture, but if sufficient bone is present into which the implant can be placed, then dental implants are often the most ideal way to fill a space left by the loss of a tooth/teeth. In the past, when you lost a tooth you would only be able to have a denture or bridge fitted. Luckily, with the developments in modern dentistry and with the use of dental implants, you can now have stronger, fully restored teeth that look and feel completely natural.Our dental implants are titanium, screw shaped attachments which are used as an artificial substitute for the root of your natural tooth. The titanium implant is inserted into the jaw and left to integrate with your bone.This titanium dental implant can be placed immediately after removing a tooth that has been electively extracted. This method often means less swelling and can minimize post operative sensitivity. In the event that a space/gap is being filled years after a tooth has been lost then this titanium rod acts as a substitute tooth root. There are two stages to dental implants. At first the dental implant post is placed into the jaw by a specialist implant dentist (Periodontist or Oral Surgeon). When the jaw has healed over and the sutures have been removed, then it is possible to attach the man made dental crowns to the implant. These replacement teeth are attached to the dental implant, and are positioned just above the gum like real teeth which gives a beautiful aesthetic natural appearance. Not all patients are suitable for implants. A consultation with a DermaDental dentist along with specialist x-rays will determine a patient’s suitability for dental implants. A dental implant affords the new man made tooth the much needed strength to remain in-situ within the mouth, for a very long time. Dental implants allow patients to live a completely normal life with absolutely no need to worry about dentures falling out of the mouth during eating or talking. Dental implants can also be successfully placed in order to support fixed bridges or dentures, ensuring a very stable result with minimal risk of movement during normal daily function. Dental implants are as close to real teeth as are available. Because the root of the implant is secured to the jawbone like a real tooth, it acts and feels like a real tooth. If you have a missing tooth or are looking to replace an earlier dental substitute, make an appointment to see a dentist.For more information call Goma Dental at 177-645-0704. Salutations To The World’s Largest Democracy..
NEW YORK (Reuters Health) Jan 01 – A new study questions a recent recommendation that dentists give prophylactic antibiotics to all patients who have had joint replacement. In early 2009, the American Academy of Orthopedic Surgery (AAOS) safety committee recommended that dentists consider antibiotic prophylaxis for all patients with total joint replacement before any dental procedure, Dr. Elie F. Berbari of the Mayo Clinic College of Medicine in Rochester, Minnesota, and colleagues write. That recommendation followed an earlier guideline by the AAOS and the American Dental Association, who in 2003 said that antibiotic prophylaxis should only be considered in high-risk patients who have high-risk dental procedures. Dr. Berbari’s team’s results, however, support the 2003 recommendation: In a study reported in the January 1st issue of Clinical Infectious Diseases, they found no association between dental procedures, with or without antibiotic prophylaxis, and the risk of total hip or knee infection. “The risk of seeding a prosthesis from bacteria in the blood is certainly there,” Dr. Berbari told Reuters Health. But, he added, routine activities such as toothbrushing, flossing, and chewing are much more likely to cause this seeding than transient bacteremia after a dental procedure. Dr. Berbari and his colleagues compared 339 patients with such infections treated at their hospital between 2001 and 2006 to 339 patients with total hip or knee arthroplasty who did not have infections, but were hospitalized on the same floor. Fourteen percent of case patients and 8% of controls were edentulous when enrolled in the study. Fifty-seven percent of the dentate case patients and 47% of controls had undergone a low-risk dental procedure during the observation period, while 48% of cases and 34% of controls had undergone a high-risk procedure. Patients who underwent a low- or high-risk dental procedure in the two years before hospitalization and didn’t receive antibiotic prophylaxis were not at increased risk for prosthetic hip or knee infection, the researchers found. And antibiotic prophylaxis before a low- or high-risk dental procedure didn’t reduce the likelihood of infection. The researchers did find that people who had regular dental hygiene visits were at 30% lower risk of infection, although this wasn’t statistically significant. While the current study is not a randomized controlled trial, Dr. Berbari said, it is large and “rigorously done,” despite biases and limitations, and provides data “in a field that’s mostly been plagued by expert opinions and not a lot of good science.” A randomized controlled trial would have been difficult, he added, given the rarity of joint arthroplasty infection. That’s particularly relevant, because the fear of joint infection may cause some patients to avoid going to the dentist, write Dr. Werner Zimmerli and Dr. Parham Sendi of the University of Bern in Switzerland in an editorial accompanying the study. Wafer-thin porcelain veneers are one of cosmetic dentistry’s more recent inventions. The veneers are bonded onto the front of existing teeth with composite resin to restore the appearance of cracked, chipped or badly discoloured teeth. They are rapidly becoming one of the most common cosmetic dentistry treatments with dentists because of the stunning results they produce and the incredible speed and minimal fuss of treatment. Most people don’t think twice about the veneers they receive from their dentist; but, they should. All veneers are not created equal. Different brands vary in realism, strength, stain resistance, and length of life. It is important to work closely with laboratory technicians to create a beautiful smile that is custom tailored to you. MAC Veneers, Lumineers and other brands of porcelain veneers are different types of porcelain veneers that are designed to correct many different cosmetic problems that you may have with your smile. They differ in how they appear on your teeth, and how they are created. MAC Veneers are created out of pressed ceramic porcelain, which MAC Veneers claims is stronger than any other type of porcelain. As a result MAC veneers are claimed to last longer and look more lifelike than any other porcelain veneer.Lumineers, on the other hand, are porcelain veneers created by Cerinate. Cerinate claims that Lumineers are strong enough so that they can be constructed to be as thin as a contact lens. They claim that Lumineers can be placed without anesthesia and without shaving any tooth material away. 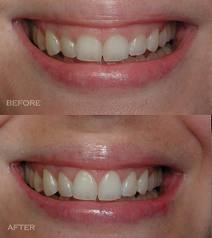 MAC veneers offer the best combination of beauty, function and longevity. * Beauty – MAC Veneers are created by artisans who understand and appreciate the nuances in color, luminosity and shape of natural teeth. Using up to 16 shades of white (while others use only four), MAC Veneers provide a unique level of natural beauty. * Advanced Materials – MAC Veneers are made with high quality, pressed ceramics the latest, most advanced material available for cosmetic dentistry. In addition to enhancing the color and brightness of your smile, they can straighten and reshape your teeth to give them a more youthful appearance. With MAC Veneers and other porcelain veneers, in order ensure there is a seamless, natural feel and appearance, a small amount of tooth material must be removed. Lumineers claims this is not needed with their porcelain veneers. The manufacture of porcelain veneers has been dramatically affected by the introduction of new technology. In the past, porcelain veneers needed to be measured using a system of dental moulds and x-rays. These were time-consuming processes, as was the laboratory conditions needed for their manufacture. Today, by using the latest in 3D imaging and digital x-rays, a dentist can use a computer to design and manufacture a porcelain veneer in as little as six minutes. This has significantly reduced treatment times and discomfort for patients. It is now possible for dentists to design, manufacture and fit a whole dental arc of porcelain veneers in an afternoon. You could have a completely new and youthful set of teeth in just one day. Ask your dentist about the latest in porcelain veneer technology. May the dawning of this New Year, fill your heart with new hopes, open up new horizons and bring for you promises of brighter tomorrows. May you have a great New Year 2010 !